Abstract: Currently, there is a substantial research and development effort directed toward optical signal processing and electronic signal processing for fiber-optic communications. Much of the work is aimed at mitigating the effects of transmission impairments such as chromatic dispersion, polarization mode dispersion, fiber nonlinearities, amplifier noise, and band-limiting. It is being pursued in the presence of an ongoing interest in increasing the per-channel bit rate in order to meet the growing demand for telecommunication services. For optical signal processing, a variety of approaches are available for implementing functions such as 3R (re-amplification, reshaping and re-timing) regeneration. For electronic signal processing, advanced digital signal processing is being applied to both fiber-optic transmitters and receivers, and has lead to a renewed interest in coherent optical detection. This lecture presents an overview of optical and electronic signal processing technologies, including a critical assessment of each approach. Specific examples are considered in more detail to highlight key aspects of the technologies. Biography: John C. Cartledge was a Member of the Scientific Staff at Bell-Northern Research, Ottawa, Ontario, Canada, from 1979 to 1982, where his work involved fiber-optic systems for the exchange access network and high-capacity digital radio systems. 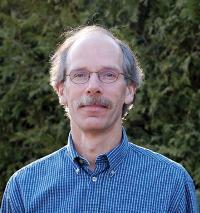 Since 1982 he has been with the Department of Electrical and Computer Engineering, Queen's University. In July 2002 he was appointed an inaugural recipient of a Queen’s Research Chair. He has spent one-year sabbatical leaves with the Lightwave Systems Technology Research Division of Bellcore, Red Bank, NJ, in 1988-89, and with the Optical Communications Department of Tele Danmark Research, Hørsholm, Denmark in 1995-96. Dr. Cartledge has served as a consultant and instructor in the area of lightwave technology to several organizations. His current research interests include optical modulators, optical signal processing (wavelength converters, optical regenerators), electronic signal processing for arbitrary optical waveform generation, and dispersion compensating fiber Bragg gratings. Dr. Cartledge is Chair of the Optical Networks and Systems Committee, IEEE Lasers and Electro-Optics Society, 2007-2009, and is a Fellow of the Optical Society of America. Dr. Cartledge’s conference organization activities include serving on the Technical Program Committees for the Conference on Optical Fiber Communications (1994-1997 and 2005-2006), the IEEE LEOS Annual Meeting (2002-2008), the European Conference on Optical Communications (2006-2008), and the joint meeting of the International Conference on Integrated Optics and Optical Fibre Communications and the European Conference on Optical Communications (1997). He was a Program Chair for the joint meeting of the Conference on Optical Fiber Communications and the National Fiber Optics Engineers Conference (2008).